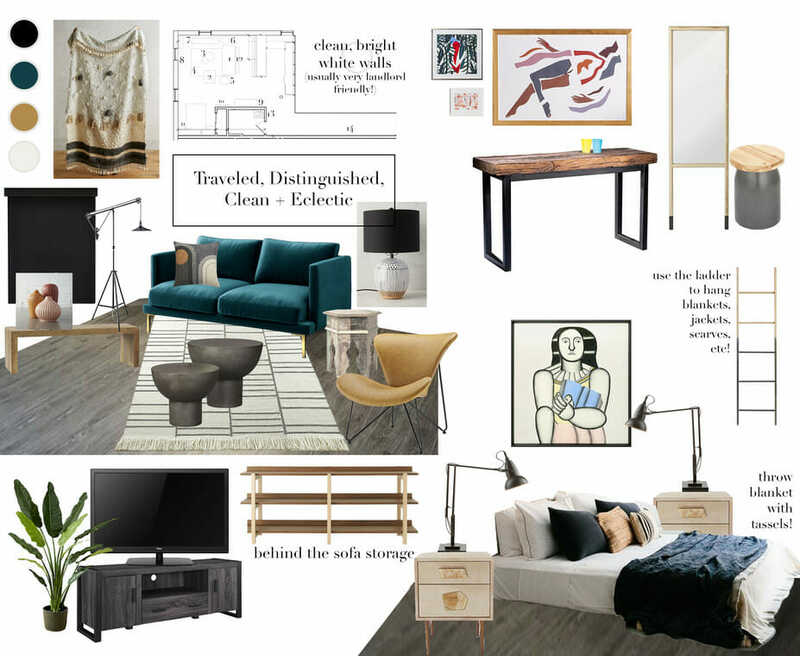 How do you transform a 693 sqft studio apartment into an eclectic home? Dwellers across the world face a universal challenge: how to create a personal home out of a rented apartment space? Rentals often have strict rules and regulations in their contract, and if tenants do not abide by these rules, there may be financial implications. It’s understandable that renters are very wary when it comes to decorating the interior of their rented home. While the structural elements might not change, smart choices can make the home you want and keep the landlord happy. One recent Decorilla client was faced with this very challenge to create a space she could call home. Fortunately, with an online studio apartment design from Decorilla interior designers, the client received a home she was looking for; one filled with her worldly treasures in an open apartment layout and with a distinctly personal touch. With her Pinterest inspiration photos in hand, we quickly discovered that the client loves eclectic and moody interiors with a minimalistic and rustic touch. Because the client has a traveler’s nature, she has gained an appreciation and affinity for a variety of styles. 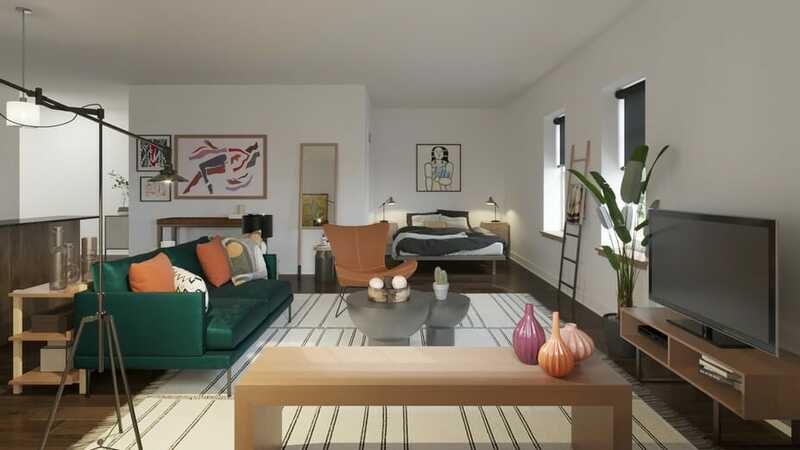 At times this could make a designer’s task a little harder, but luckily Decorilla Designer Drea D. has the same love for mixing and experimenting with different styles, making this online studio apartment design a fun project for both client and designer. The client had a vague idea of how the studio should look but favored the aesthetic of one loft in particular. The eclectic NY style London loft is filled to the brim with character, which embodies the owner’s opinion that “character is much more important than being perfect.” These are words that certainly resonated with the client. Hoping to combine the masculine aesthetic of Restoration Hardware, subdued Scandinavian textures, and personal eclectic finds, the designer set out to create a harmonious apartment layout with clean comfort. The client was offered an initial proposal that lent itself to earthy hues and a feature wall with removable wallpaper, which is a great tool for apartment decorating. However, the client decided to go with a “vibrant, yet calming” design by Drea D. The proposal featured a bespoke throw by Anthropologie, white walls and an apartment layout that also favors dual living. The studio as a whole stood as a blank canvas with sunset-colored feature walls and a large built-in kitchen. The essential elements the designer had to consider included the hallway and bedroom/living room. The biggest challenge was to create an apartment layout that makes the most of the little square footage available. 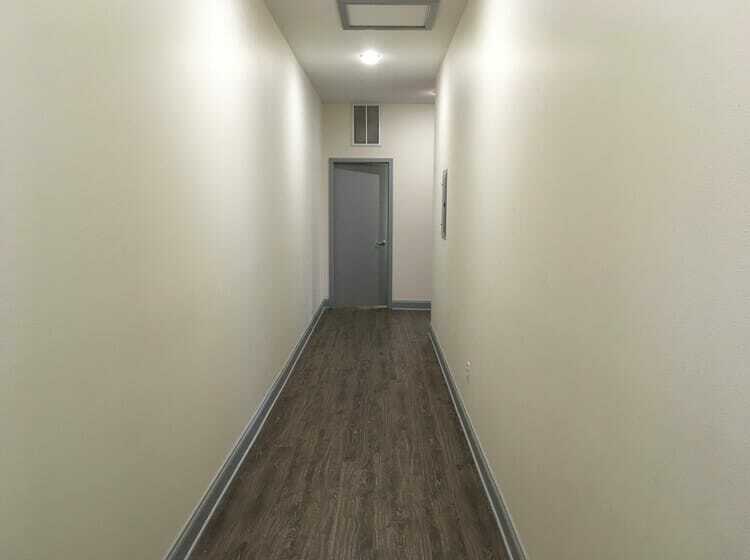 The hallway is certainly extensive and called for much-needed decoration and upliftment. So, an eclectic interior design with interesting décor pieces was what this space required. The kitchen is rather large for the small apartment, but a welcome asset when it comes to entertaining. Consequently, a seating area is another essential aspect to differentiate between living and sleeping areas. 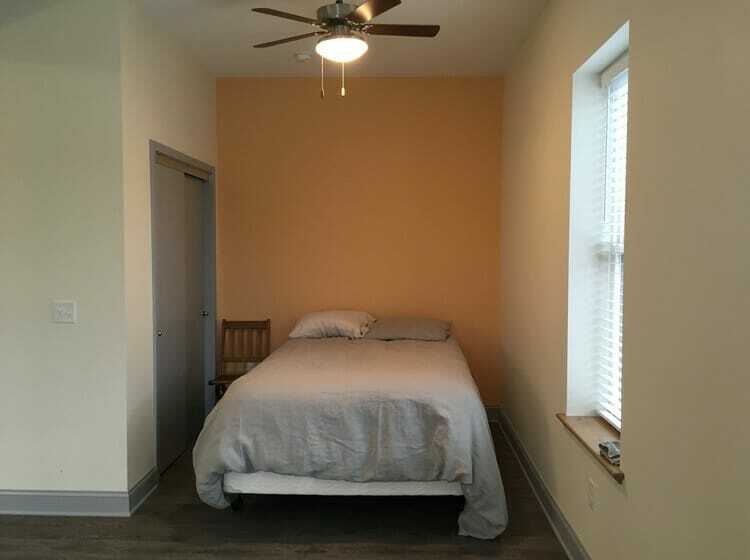 Most noteworthy, Drea D. decided to embrace the open apartment layout. 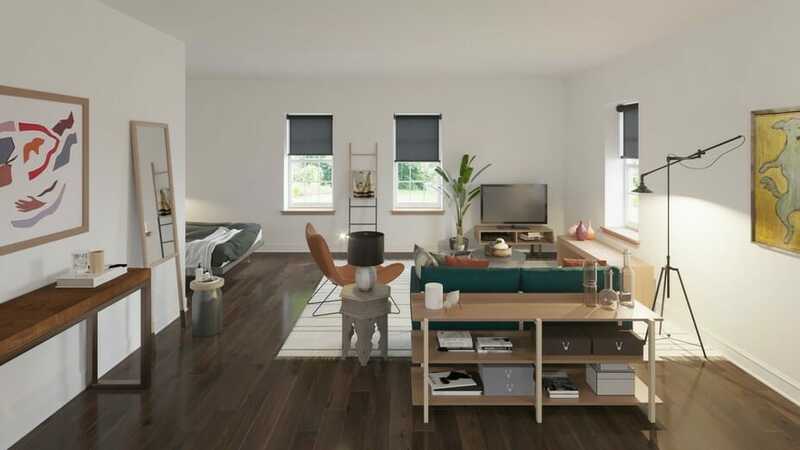 This online studio apartment design had to incorporate both a restful sleep zone and an adjacent living room that is as inviting. The client was not fond of the Tuscan sunset hue on the feature wall, which had to change. The area lacked refinement and a certain warmth that the client longed for. Small spaces need innovative solutions to make them feel bigger and efficient. 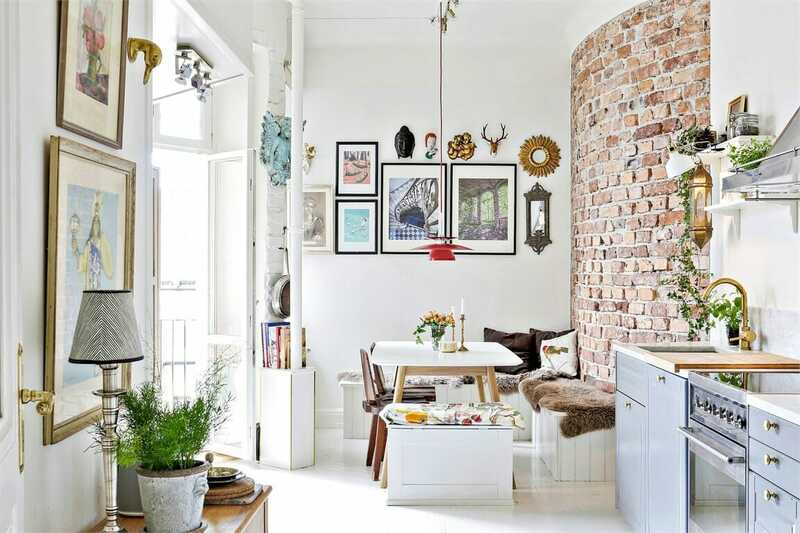 There are many clever tricks to consider when trying to find the most suited apartment layout for a small studio. Using a mirror is one such smart solution. 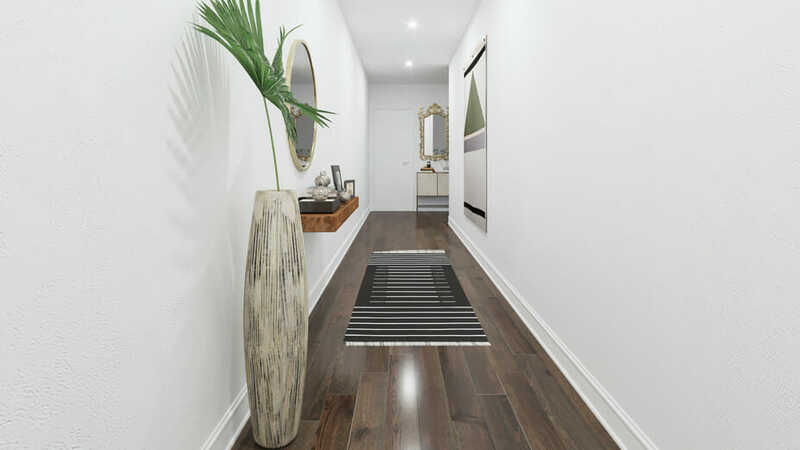 Designer Drea D. chose to add light and depth to the hallway with mirrors. The mirror on the left acts as a feature above a floating shelf filled with covetable décor items. Drea D. continues the eclectic welcome straight into the living room with contrasting textures, uniquely designed items, and curated artwork. The eclectic interior design is clutter-free, distinguished, and has the atmosphere of a traveler’s home. 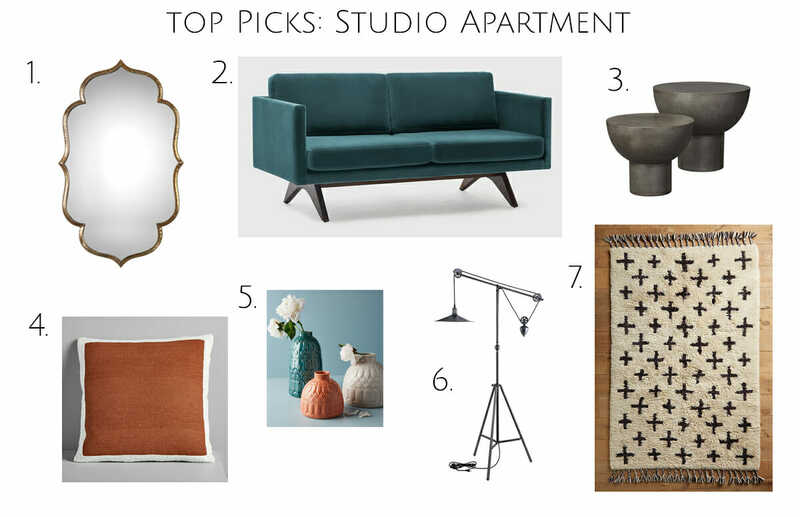 The final result is an inviting, eclectic studio with feature elements from Anthropologie, West Elm, and CB2. As a result, the studio has a curated edge, with personal art pieces and unique furnishings like the bongo side tables adding a hand-selected look to the space. The main room features a plush velvet emerald sofa with burnt copper accents in the scatter cushions and leather chair. There is ample space in the form of a raw wood bench, console and bongo side tables for the client to display her most-loved items. The bedroom has a distinct minimalist look with a Scandinavian influence, with side tables that perfectly match a true collector’s interior. 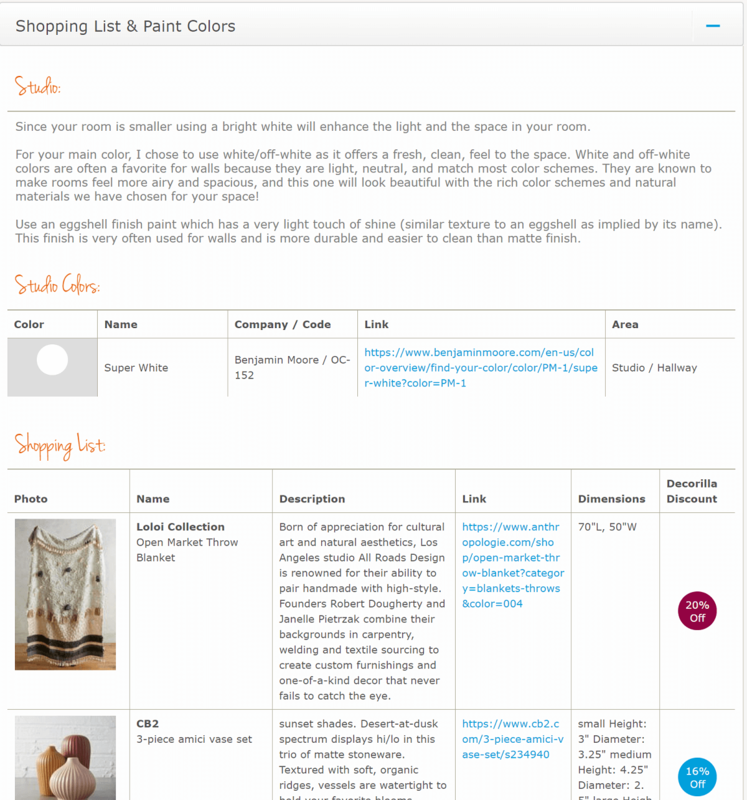 The artwork is a combination of designer, Drea D. suggestions, and the client’s collection. Art is essential to an eclectic interior, adding intrigue to previously bland walls. The large white rug brings unity to the living area and distinguishes it as a separate space. The client was wary of painting the walls, but designer Drea D. suggested a white with an eggshell finish from Benjamin Moore. A light paint color is a quick fix that can make a room feel bigger than it is. In a rental, landlords and owners are more likely to let you leave a neutral-colored wall without repainting before you move out. 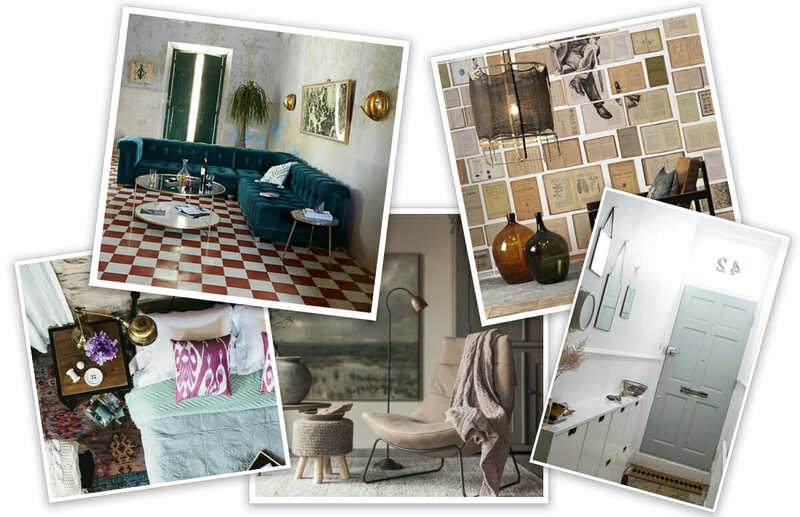 Eclectic interior design is covetable but is almost always difficult to perfect; so here are a few pointers on how to pull off an eclectic interior. The hallway now features two mirrors to add light and visual depth as well as lovely textures. Soft textiles like from the area rug and wall tapestry soften the masculinity of a natural wood mounted shelf. Greenery and hallway décor add to the eclectic style of the online studio apartment design. The feature mirror is ornate and arty on its own. Creating a dream home in a rental might seem like a stretch, but with a bit of guidance, it can be a reality. Decorilla’s expert designers can make your dream a reality! 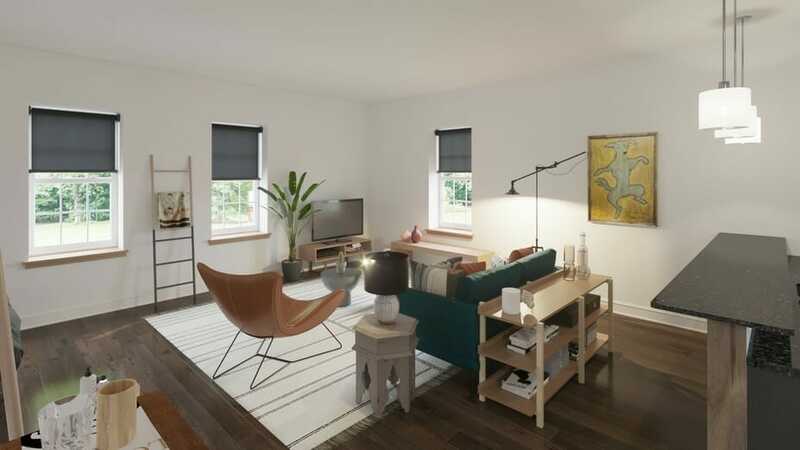 A small space doesn’t mean it has to be cramped, because there are ample design ideas and interior design package options for studio apartments available that can give you a helping hand. 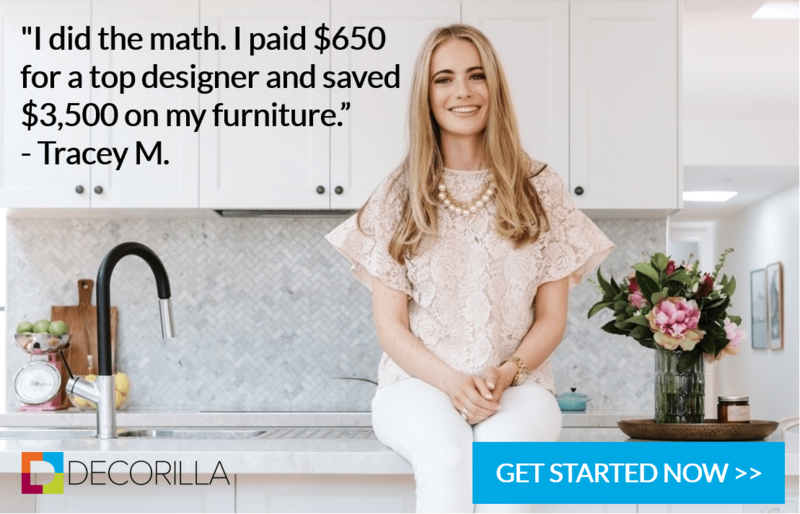 Schedule your Free Interior Design Consultation today to see how the Decorilla designers can help create your dream space!